BitOasis.net – BitOasis is the Middle East's first wallet that uses Multi-Signature technology to protect your digital assets. We would like to inform you that we will be supporting the Constantinople upgrade set to occur on January 17th, 2019, at approximately 4:40 AM UTC (8:40 AM Dubai time). To support the upgrade, we will be suspending ETH deposits and withdrawals 2 hours prior to the fork on January 17th, 2019, at 2:40 AM UTC (6:40 AM Dubai time), and after evaluating the network we will be reactivating all services approximately 2 hours after the fork. The time of the upgrade is subject to change depending on the status of the ETH blockchain. We encourage our valued users to finalize any deposit or withdrawal one day prior to the upgrade to avoid any delays in the processing of transactions. All other pairs on the trading exchange, including deposits, withdrawals and wallet transactions resume as usual during the upgrade. ETH pairs will still be available for trading during the upgrade. Furthermore, we would like to assure our users with ETH balances that their assets are secured. We will be communicating any further updates on our Dashboard, Blog, and Twitter account. For further support or information, please don’t hesitate to contact our support team. We’d like to inform you that we have a planned service upgrade to the trading exchange scheduled on Thursday, January 10th, 2019. The upgrade will take place from 1:00 AM – 4:00 AM Dubai time. The following pairs BTC-AED, ETH-AED, XRP-AED, will not be available during this period. All other pairs on the trading exchange, including deposits, withdrawals and wallet transactions resume as usual. We apologize for any inconvenience this downtime will cause for our customers. On January 7th, the following pairs ETC-AED, ETC-BTC, ZEC-AED, ZEC-BTC, XMR-AED, XLM-AED, BSV-AED, and BSV-BTC on BitOasis trading exchange will experience temporary downtime from 8:00 AM to 8:00 PM UTC. Digital asset deposits for all tokens will also be disabled. All other fiat and digital asset trading pairs will be operational as usual, including all digital asset withdrawals and wallet transactions. If you currently have open order(s) on one of the pairs that will experience temporary downtime. Please feel free to amend your open order(s) prior to the scheduled maintenance downtime. For more information, please don’t hesitate to contact our support team. Bitcoin Cash ABC is now available for deposit and withdrawal! We are pleased to announce that the deposit and withdrawal features for Bitcoin Cash ABC are now available! You can now withdraw and deposit your Bitcoin Cash ABC assets to your BitOasis trading exchange account! Please note, Bitcoin Cash ABC can only be deposited to the new deposit address. Please take extra precautions to ensure that you are transferring your Bitcoin Cash ABC to the correct address. BitOasis will not be able to recover any Bitcoin Cash ABC assets deposited to the old addresses. 1- The digital asset withdrawal and deposit features are available to users in Egypt, Jordan, Morocco, United Arab Emirates, Saudi Arabia, Kuwait. Bahrain, and Oman. 2- The withdrawal and deposit features are available for Bitcoin Cash ABC only and are not available for Bitcoin Cash SV. 3- Bitcoin Cash ABC must be deposited to the new deposit address only. 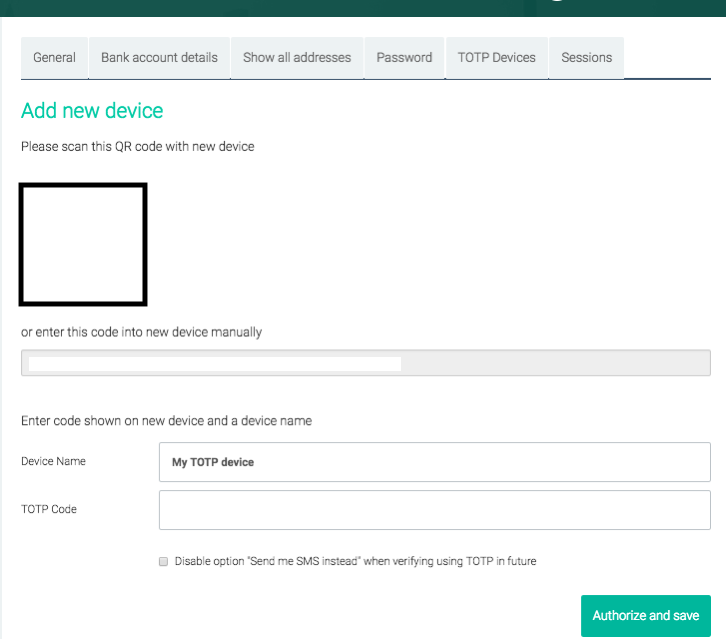 Any Bitcoin Cash ABC assets deposited to the old address cannot be retrieved. Please exercise caution when depositing Bitcoin Cash ABC. 4- The withdrawal and deposit features are available on the Trading Exchange only and are not available on the multisig wallet. 5- In order to use the Trading Exchange, please ensure your account is fully verified. 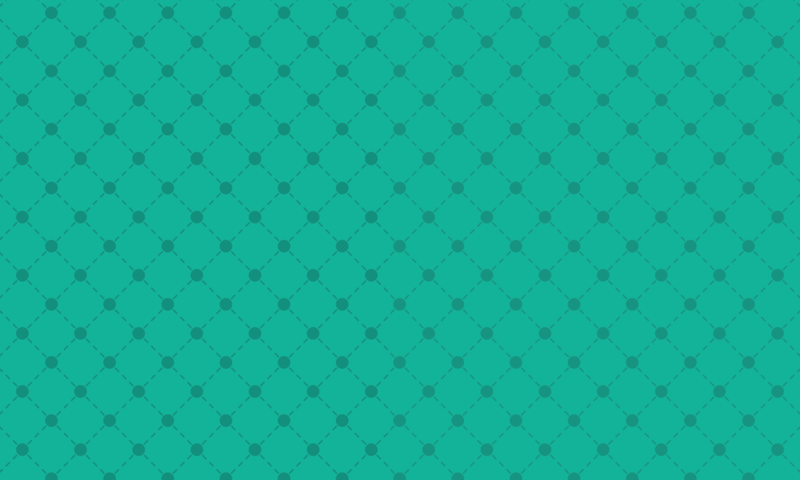 50% off trading fees extended until December 6th! Due to the surge in demand from our customers in Egypt, Jordan, and Morocco, we are pleased to announce that we have extended the promotional offer on digital asset pairs trading. Visit our exchange platform today to enjoy a 50% discount on trading fees until December 6th, 2018, with maker fees starting at 0.05% and taker fees starting at 0.075% only! Simply visit the Exchange platform to start trading! 1- This feature is available in Egypt, Jordan, Morocco, United Arab Emirates, Saudi Arabia, Kuwait, Bahrain, and Oman only. 2- The Exchange platform supports digital asset – digital asset pairs only and is not yet available for digital asset – fiat trades. 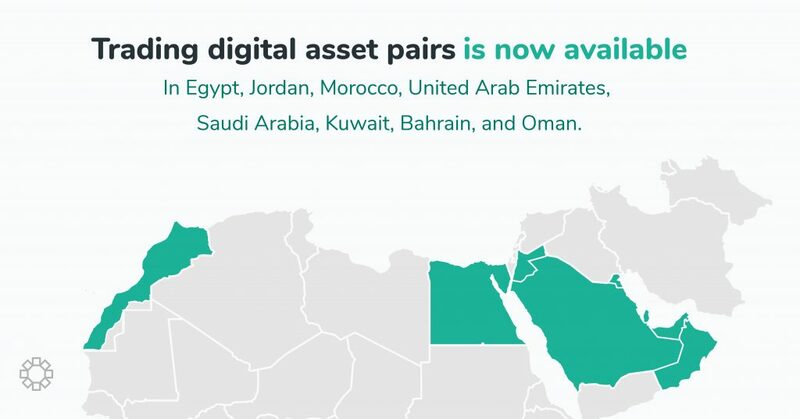 3- Users in Egypt, Jordan, and Morocco can only trade digital asset pairs on the platform. The buy, sell and withdrawal money features are not yet available. 4- Users in United Arab Emirates, Saudi Arabia, Kuwait, Bahrain, and Oman can buy, sell and trade digital asset pairs and digital asset – fiat pairs on the Exchange platform. 5- BTC only can be transferred to your BitOasis multisig wallet. All other digital assets will need to be stored on the Exchange platform only or transferred to an external wallet. 6- This feature is valid on the following digital asset – digital asset pairs only: BCH-BTC, BSV-BTC, ETC-BTC, ETH-BTC, LTC-BTC, XRP-BTC, ZEC-BTC. 7- The 50% discount on trading fees is valid until December 6th, 2018, only. 8- In order to use the Exchange platform, please ensure your account is fully verified. Continuing our promise to be the most competitive exchange for our users in the Middle East, we are pleased to announce that you can now trade digital asset pairs on our exchange! Start trading today to enjoy an additional 50% discount on maker fees starting at 0.05% and taker fees starting at 0.075% only! Simply visit the Exchange platform to begin trading today! 3- BTC only can be transferred to your BitOasis multisig wallet. All other digital assets will need to be stored on the Exchange platform only or transferred to an external wallet. 4- This feature is valid on the following digital asset – digital asset pairs only: BCH-BTC, BSV-BTC, ETC-BTC, ETH-BTC, LTC-BTC, XRP-BTC, ZEC-BTC. 5- The 50% discount on trading fees is valid until November 29, 2018, only. 6- In order to use the Exchange platform, please ensure your account is verified. We are very pleased to announce that Stellar (XLM) is now available on our digital asset trading exchange platform! You can now buy, sell and trade the XLM-AED pair on the trading exchange with 0% trading fees until November 27, 2018. In order to start trading XLM-AED, simply fund your account using our online money transfer option and place market, limit, stop, and stop-limit orders to start trading. To start trading XLM–AED, visit our trading exchange today. 1. Stellar (XLM) is available on the Trading Exchange only and is not available on the Multisignature Wallet. 2. The Stellar (XLM) buy, sell and trade features are available to users in United Arab Emirates, Saudi Arabia, Kuwait, Bahrain and Oman only. 3. In order to use the Trading Exchange, please ensure your account is verified. 4. This offer is valid until November 27th, 2018, only. Bitcoin Cash (BCH) will be undergoing a hard fork and upgrade set to occur on November 15, 2018, at 4:40 PM UTC (8:40 PM Dubai time). To support the upgrade, we will be suspending BCH deposits, withdrawals and trades 2 hours prior to the fork on November 15, 2018, at 2:40 PM UTC (6:40 PM Dubai time), and after evaluating the network we will be reactivating all services approximately 2 hours after the fork. The fork will result in two BCH blockchains: BCH ABC (upgraded chain) and BCH SV (hard fork). BitOasis will continue supporting BCH ABC. BCH SV blockchain will not be immediately supported after the fork. We will keep monitoring and assessing the performance of BCH SV chain and token market cap and update our users on our roll out plan to support it. We will be communicating further information regarding the outcome of the fork once network consensus is achieved. Continuing our promise to be the most competitive exchange for our users in the Middle East, we are pleased to announce that our Trading Exchange is now available in Arabic! You can now trade and perform market, limit, stop and stop limit orders all within a localized Arabic user experience. 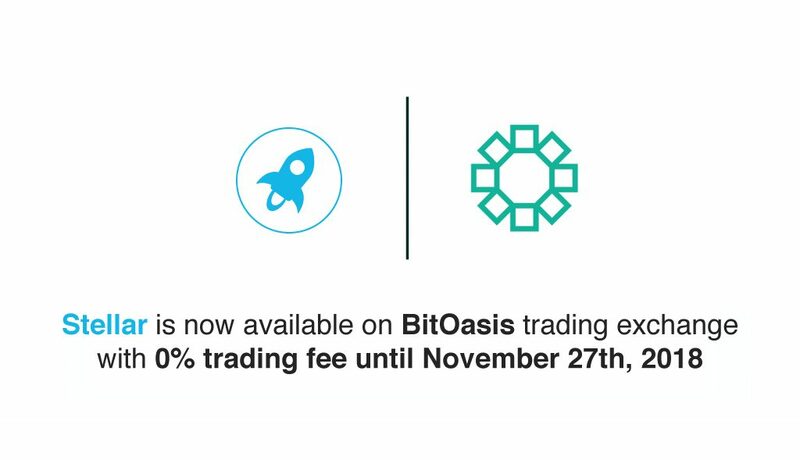 To start trading, simply log in to your BitOasis account and click on the Trading Exchange. For further support or information, please visit our Knowledge Center or contact our support team. 1. The Trading Exchange is available in both Arabic as well as English. You can change your language settings by navigating to the header and clicking on the preferred language. 2. The Arabic and English Exchange both have the same functionalities and offer the same services. 3. The Trading Exchange is available to all users in United Arab Emirates, Saudi Arabia, Kuwait, Bahrain, and Oman only. 4. 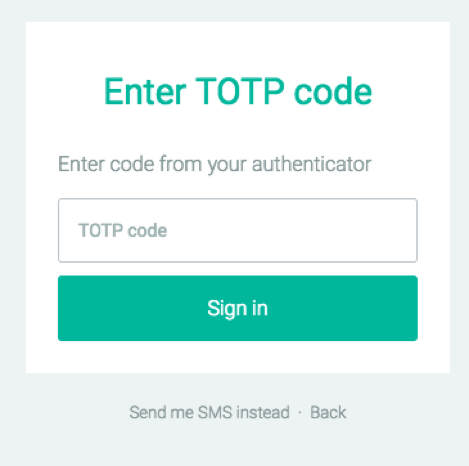 In order to access the Trading Exchange platform, your account needs to be fully verified.